Staff photos by Adam Urquhart The leaves upon the trees in Mine Falls Park are starting to get a makeover as we move further into fall. 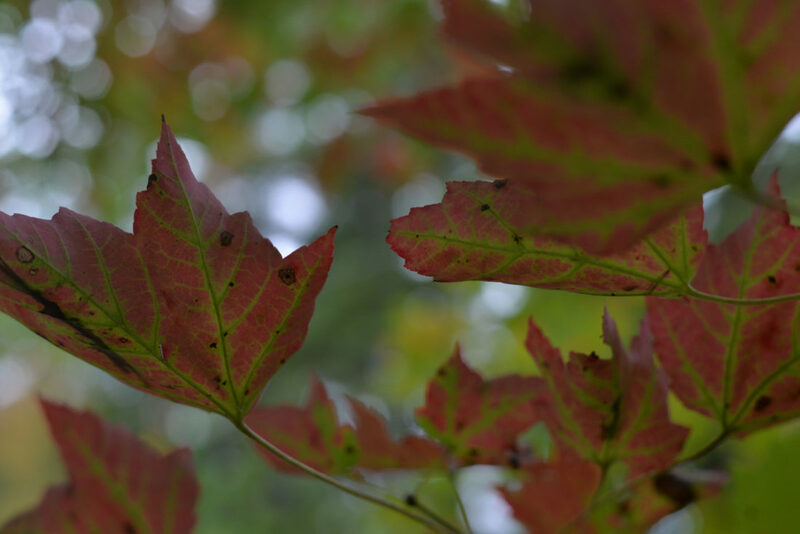 While some trees are slow to turn over to bright fall tones, these leaves boast a vibrant red color. 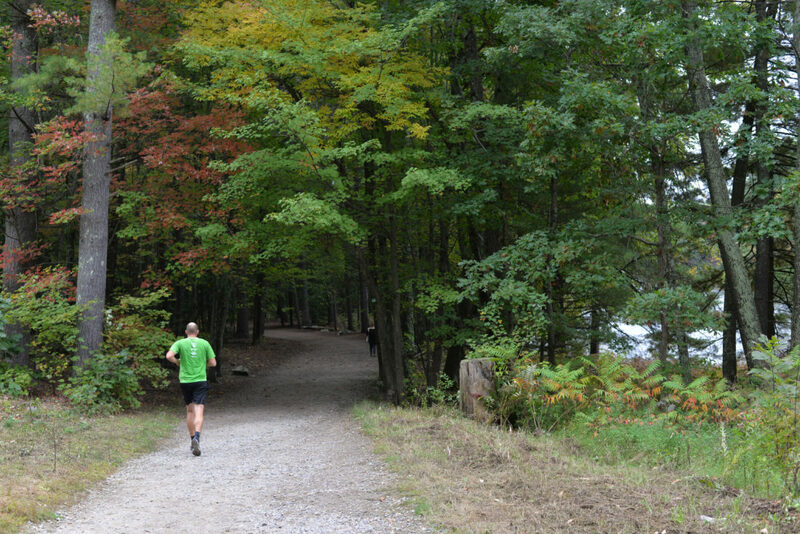 Staff photos by Adam Urquhart A man paces himself while jogging through the trails of Mine Falls Park, making his way past trees featuring fall colors. 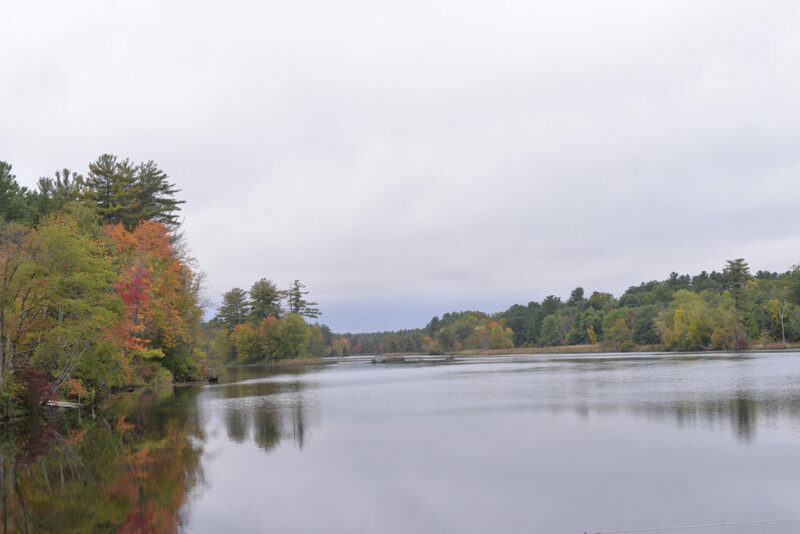 Staff photos by Adam Urquhart While engaging in various recreational activities at Mine Falls Park people may notice colorful tree lines casting their reflections on the water near the Nashua River Boat Ramp. All-time highs for visitation and spending are projected as out-of-staters pour into New Hampshire during peak leaf peeping season. As the treelines turn to bright yellows and rustic red-orange tones, many from near and far venture to the Granite State for breathtaking landscapes and seasonal activities. While leaf peepers have already trickled into the state to admire the changing leaves upon the trees, officials with the New Hampshire Division of Travel and Tourism Development are projecting 3 million out-of-state, overnight visitors to spend $1.4 billion throughout the state this fall. This would mark a 4.5 percent increase in visitors, along with a 5 percent increase in spending. “As the second-largest travel season in New Hampshire, representing about 25 percent of New Hampshire’s total annual visitation, the fall season plays a critical economic role in driving spending that supports a variety of businesses statewide,” Department of Business and Economic Affairs Commissioner Taylor Caswell said. Featuring scenic drives, outdoor activities and various farm stands spread about the state, New Hampshire’s fall season draws the largest percentage of visitors from outside New England. However, William Watson, meteorologist at the National Weather Service in Gray, Maine, said much of Maine and northern New Hampshire are either peaking or nearly there, although other areas of the state are off to a slow start. He said there has been a little delay this year, but that usually around early October colors begin to peak. However, as a reminder he said there is many contributing factors, but that the dry weather experienced earlier in the year may be one reason for the late start. Watson said it may be the latter part of October before peak conditions paint the trees in the Nashua area. Nonetheless, there are already some patches of color seen throughout the Nashua area, including at Mine Falls Park. “The division is tireless in its efforts to reinforce that the Granite State is the Northeast’s premier travel destination,” New Hampshire Division of Travel and Tourism Development Director Victoria Cimino said. “The new blog on visitnh.gov is a perfect example of that continuous evolution, offering fresh, new content from authentic, New Hampshire insiders,” she added.